This guidance follows the related guidance on installing the Adverse Drug Reaction (ADR) report template into Best Practice. Open the relevant patient record. Select the New letter icon ( ). Select 'Templates'; Select 'Use Template', as shown in figure 1. 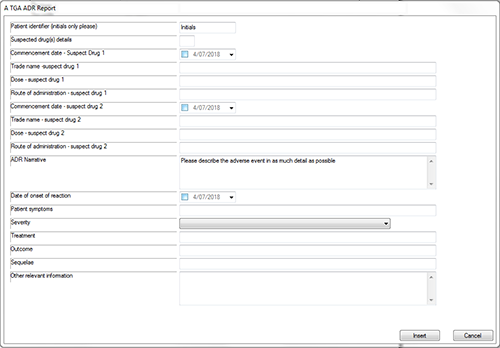 Select 'BP ADR Reporting Form' from the template list and select open, as shown in figure 2. The observations box (figure 3) will show all tick boxes selected. Deselect tick boxes as required; leave at least 'weight' selected. Select the date range for these observations to be inserted under the 'Recorded between:' selections. 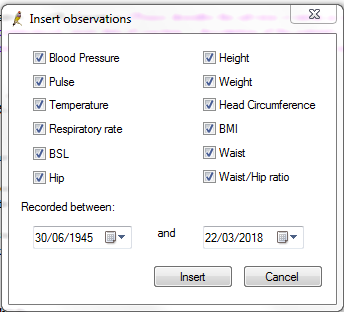 The Insert results box (figure 4) shows available past medical history. Select the relevant past medical history entries to be inserted into the report. These fields allow you to enter details about the adverse event reaction. Fields can be navigated using TAB. Add any useful and relevant information to the report. 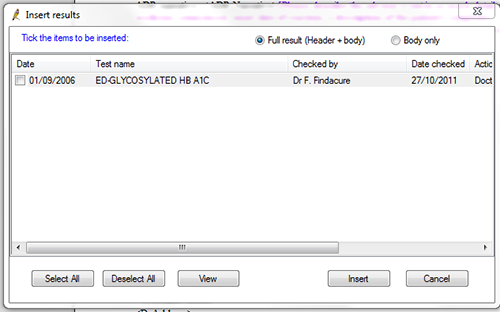 Additional suspect drugs can be entered - highlight one of the rows in the table, right click and select 'copy'. Place the curser below the table, right click and select 'paste'. Edit the contents of the new row with the details of the additional suspect drug. only the most recent observations are needed, therefore, previous observations may be removed. Ensure that an email address has been included in the signature block - this may be a personal or practice email address as appropriate. Save this instance of the report. Convert the report to either Word document or PDF as described below, to be emailed to the TGA. Reports may also be provided by fax. PDF - Convert the report to a pdf by selecting 'file'; 'print'. Select your PDF creation software and select 'print'. 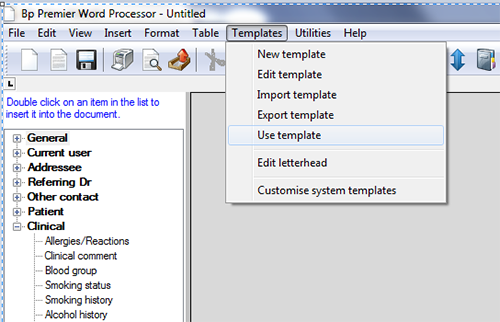 Word - Convert the report to a Word document by selecting 'file'; 'save as file' and ensure the 'save as type' field shows the latest version of Word (do not use the default 'rich text format'). Fax - Print the report to paper using your printer. If you are scanning your report, please select the option that provides for Optical Character Recognition (OCR) results where possible. 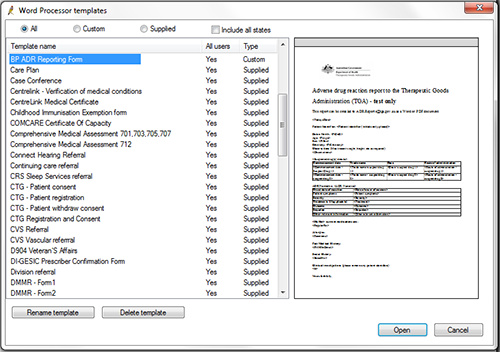 Scanning software may provide an OCR choice or similar such as 'text', 'text and graphics', 'document', or other description option. This allows reports to be processed more easily compared with reports that come to us as an image. Ensure faxed reports include an email address for the TGA to provide timely receipt of the report and/or seek further information.